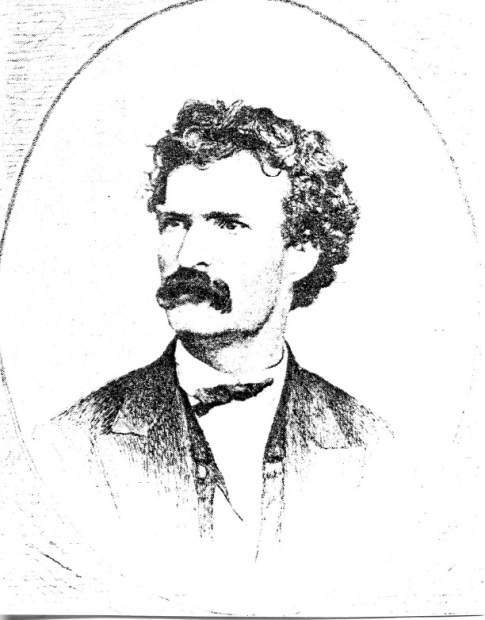 That Mark Twain, he was a real hoot. Read this little “Niagara” story if you doubt me. Now I love Niagara Falls. A lot. Like really a ton. It’s probably my favorite place in the world. So to be able to get a little tour – comical as it may be – of Reconstruction-Era Niagara Falls? What a treat. The social-commentary comedy at the end about Irish Americans and Native Americans is pretty sharp too. It’s the ol’ confirm-and-contradict punchline, and yes, I know it’s old-fashioned, but I happen to think it hilarious. And so should you. And that’s quite a trick on Twain’s part. When you have examined the stupendous Horse- shoe Fall till you are satisfied you cannot improve on it, you return to America by the new Suspension Bridge, and follow up the bank to where they exhibit the Cave of the Winds. Here I followed instructions, and divested myself of all my clothing, and put on a waterproof jacket and overalls. This costume is picturesque, but not beautiful. A guide, similarly dressed, led the way down a flight of winding stairs, which wound and wound, and still kept on winding long after the thing ceased to be a novelty, and then terminated long before it had begun to be a pleasure. We were then well down under the precipice, but still considerably above the level of the river. We now began to creep along flimsy bridges of a single plank, our persons shielded from destruction by a crazy wooden railing, to which I clung with both hands– not because I was afraid, but because I wanted to. Presently the descent became steeper, and the bridge flimsier, and sprays from the Ameri- can Fall began to rain down on us in fast increasing sheets that soon became blinding, and after that our progress was mostly in the nature of groping. Now a furious wind began to rush out from behind the waterfall, which seemed determined to sweep us from the bridge, and scatter us on the rocks and among the torrents below. I remarked that I wanted to go home; but it was too late. We were almost under the monstrous wall of water thundering down from above, and speech was in vain in the midst of such a pitiless crash of sound.